The letter “X" is the Roman Numeral 10 and the Andover Chaise Lounge by Woodard deserves a 10 for design and quality. 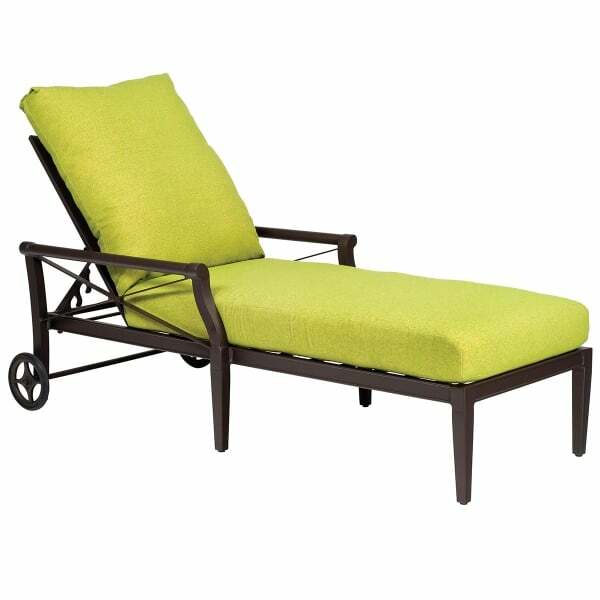 Crafted of the highest quality extruded aluminum and protected by electrostatically applied polyester powder-coating, the Andover Chaise is low maintenance and lovely. The “X" motif, featured in the arm rests and back, is reminiscent of classical design and will lend sophistication to your outdoor décor. Lavish weather friendly cushions make the Andover the perfect place to take a quick nap; the adjustable back and user-friendly wheels make it easy to follow the sun. 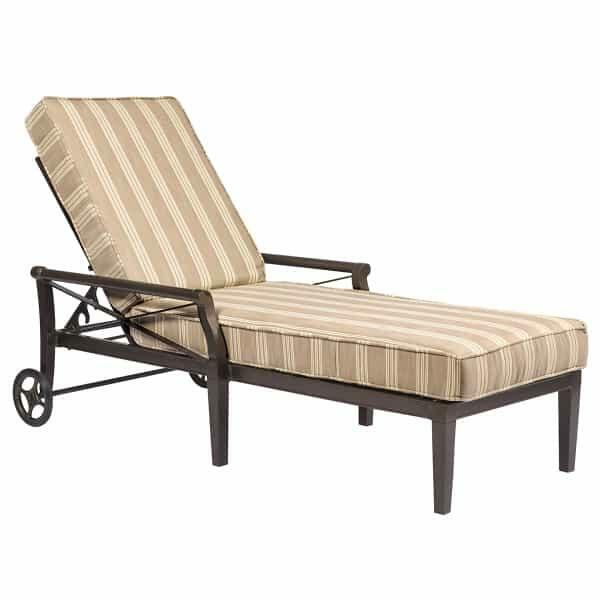 Score a perfect ten with the Andover Chaise Lounge by Woodard.